Enjoyed your visit with us? Fancy buying something to remember us by? Don’t worry, we have you covered with our ‘Station Master’s Gift Shop’ at Cleethorpes Kingsway Station. 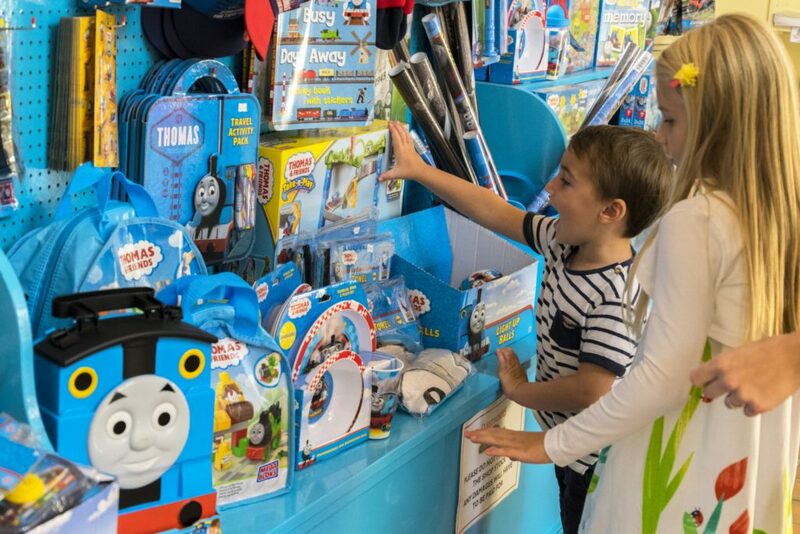 Our well stocked shop offer a fantastic selection of gifts to suit all ages, including toys, postcards, books and a range of Thomas The Tank Engine merchandise. There is also a smaller gift shop at Lakeside Station.